The lone surviving terrorist in the November 2008 three-day killing spree in Mumbai has been sentenced to death by hanging. The lone surviving terrorist in the November 2008 Mumbai massacre was sentenced to death on Thursday by an Indian judge for his role in the massive terrorist attack, one of the worst in the history of India. 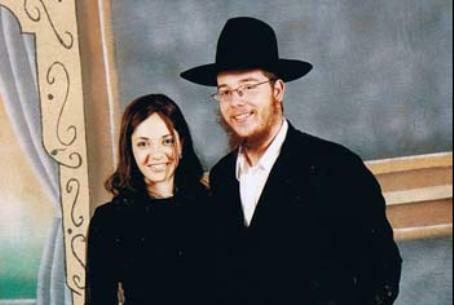 Among the victims were the center's directors, Chabad-Lubavitch emissaries Rabbi Gabriel and Mrs. Rivka Holtzberg. The couple's two-year-old son Moishe was rescued by his Indian nanny, Sandra, who hid in a closet for hours until the terrorists had moved into another part of the building, then gathered the toddler in her arms and fled. Moishe and his nanny were subsequently brought by his maternal grandparents back to Israel, where Rivka herself was born and raised. Israel National News produced a special tribute to honor the Holtzbergs and their guests. The page may be accessed by clicking here. Justice M.L. Tahaliyani handed down his verdict three days after the surviving terrorist, Mohammed Ajmal Kasab, was convicted of murder and waging war against the nation. Death sentences in India are carried out by hanging. Special prosecutor Ujjwal Nikam said Wednesday that the execution could be delayed by up to a year. No decision has yet been reached on whether Kasab will appeal the sentence. The attacks were launched simultaneously by a team of ten young men armed with assault rifles, who began firing at passersby and guests in the two largest and most venerable luxury hotels in India's financial capital, a crowded train station, and Nariman House. Kasab, who has confessed to being a member of the Pakistan-based Lashkar-e-Taibe terrorist organization, was convicted of brutally murdering and wounding dozens of passersby at the train station. His defense attorney argued that he was pressured by the group into carrying out the attack. The United States is also currently investigating the possibility that the Lashkar-e-Taibe terrorist group was involved in the recent failed car bombing attempt in New York City's Times Square.